The Navy plans to send the USS Ronald Reagan aircraft carrier to the Western Pacific instead of the USS John Stennis, which has been ordered to the Middle East, a Navy official said. 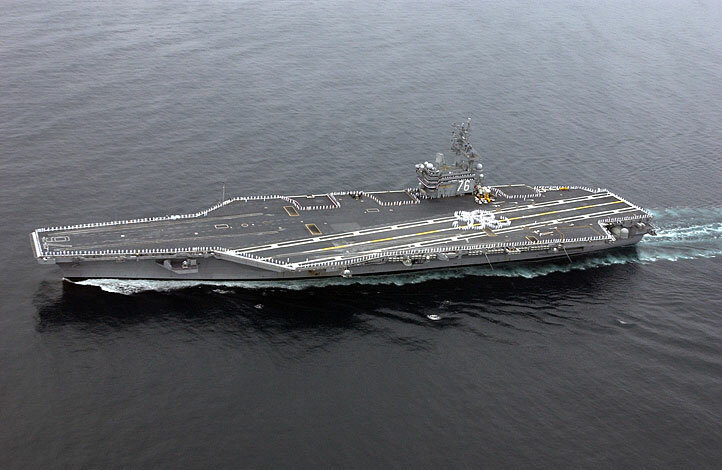 The Navy had considered sending the Stennis to the Asian region to fill in for the Japan-based USS Kitty Hawk, which is due to undergo maintenance, but officials decided to deploy the Stennis to the Gulf area instead. U.S. officers believe that having an aircraft carrier in the Pacific is an important part of the U.S. deterrent against North Korea and overall U.S. military presence in the region. The San Diego-based Reagan will leave its home port in a few weeks for the mission, said the official, who asked not to be named because the deployment hasn't officially been announced. The Kitty Hawk is forward deployed to Yokosuka, Japan, making it the only U.S. aircraft carrier effectively based overseas. The ship, which is based in Bremerton, Wash., is expected to arrive in the Middle East in about one month. Defense Secretary Robert Gates indicated in Brussels Monday that Iran's perception of U.S. vulnerability in the region was part of the reason the Pentagon decided to send a second aircraft carrier battle group and a Patriot anti-missile battalion to the Gulf area. Patriots defend against shorter-range missiles of the type that Iran could use to hit U.S. bases in the area. The Stennis will stop off in San Diego on its way to the Gulf to pick up an air wing of more than 80 planes, including F/A-18 Hornet and Superhornet fighter-bombers. The aircraft carrier USS Dwight D. Eisenhower is already in the Gulf region.